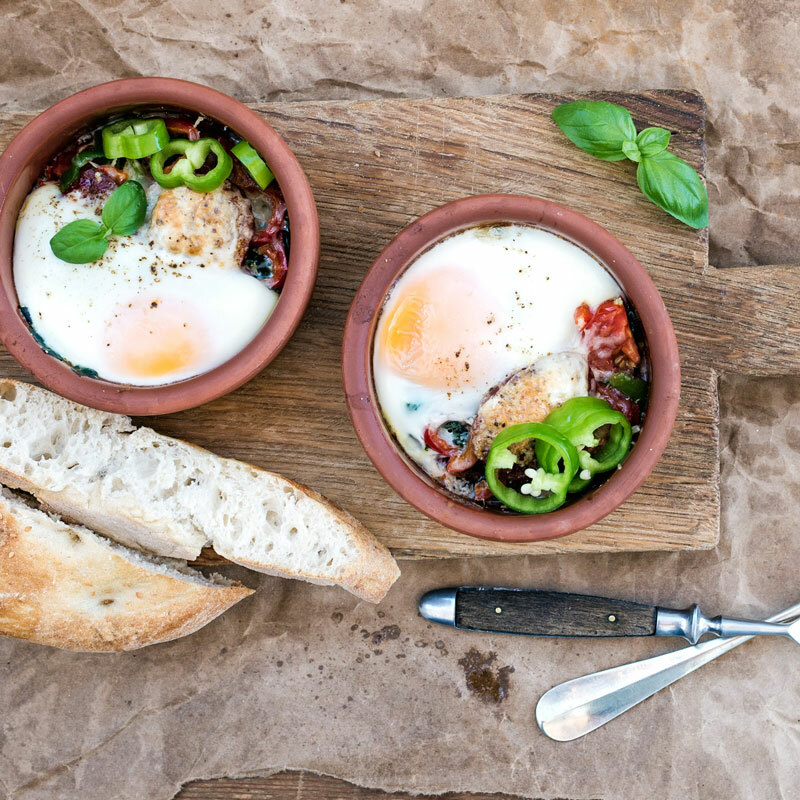 Eggs en Cocotte, or known by our French friends as oeufs en cocotte, this delicious dish is actually named for the ramekins in which the eggs are cooked. We love you to be creative, so feel free to add the type of cheese and herbs that you prefer. You can even change up the meat with some cooked mushrooms. We would also suggest a yummy toasted buttery bread to dip in. Sprinkle your bacon or mushrooms into each, for an even layer on each ramekin. Then carefully pour enough boiling water into the baking dish to submerge about three quarters of the way. Garnish with some parsley and enjoy!